The greatest empire in Renaissance Europe was born in Lublin in Lesser Poland in 1569. The Union of Lublin created the Polish-Lithuanian Commonwealth, and Lublin, on the old road from Kraków to Vilnius, was the place where the document was signed. 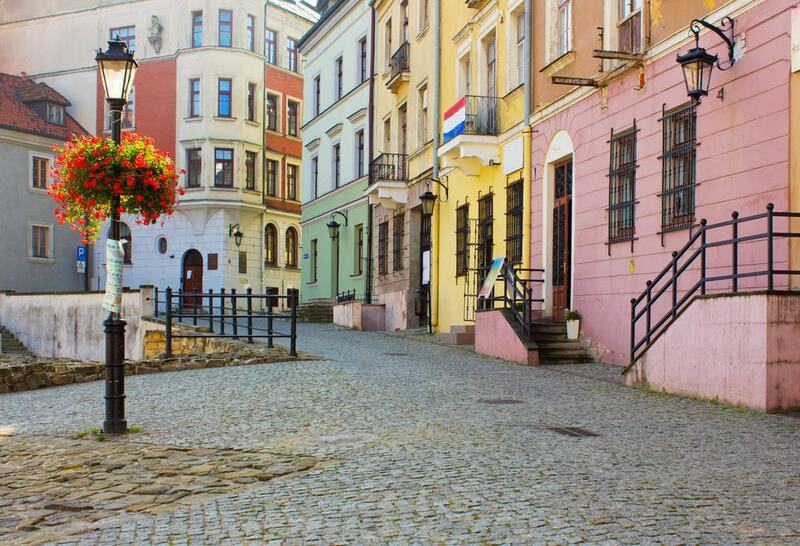 Lublin’s Old Town is guarded by two gates and has a Renaissance castle in its former citadel outside the former walls. 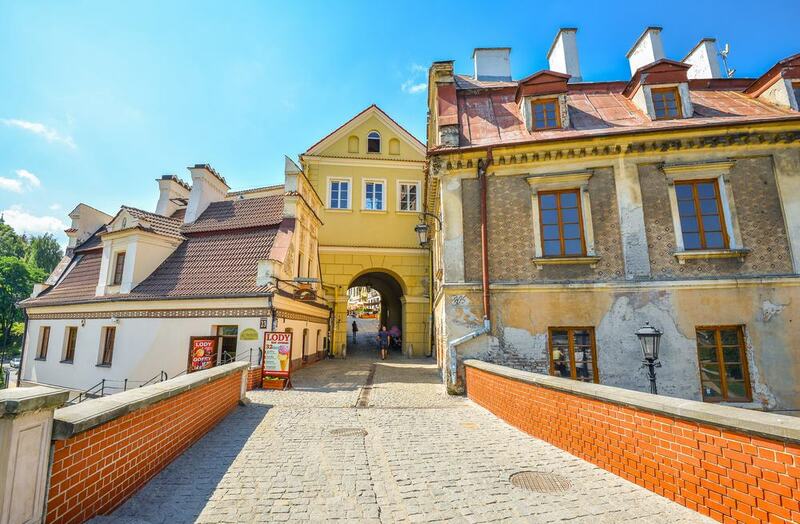 On the historic streets are elegant burgher houses, and just below the surface is a system of interconnected cellars with exhibits about the city. 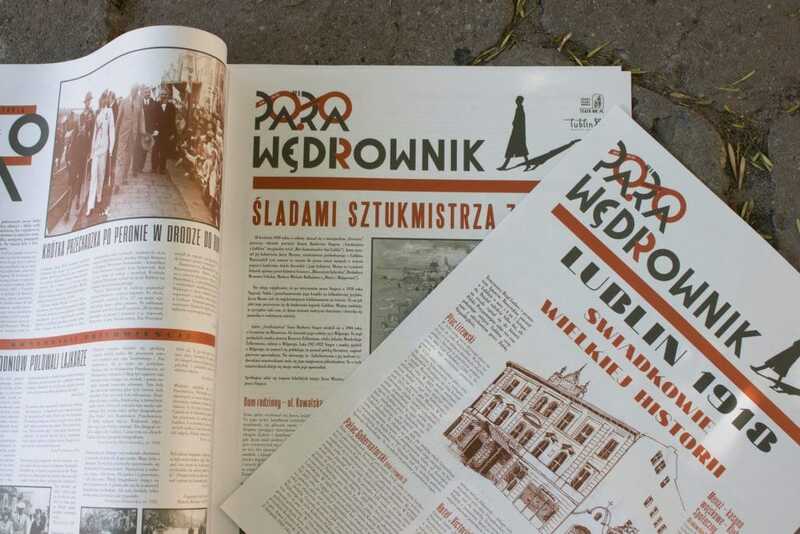 On a sadder note, the story of Lublin’s Jewish population is both harrowing and interesting, not least because the city has one of the only complete Nazi death camps. 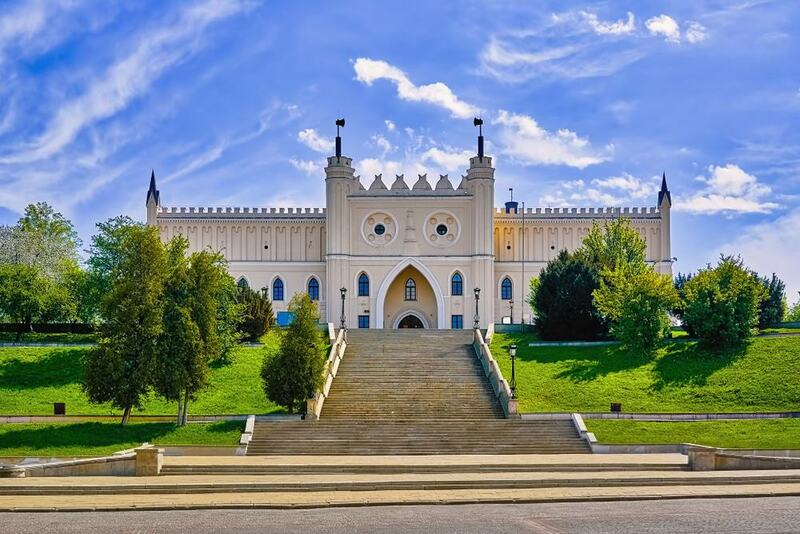 Among the oldest royal seats in Poland, Lublin Castle was founded on its namesake hill in the 12th century by the High Duke Casimir II the Just. In that time it would have been a wooden structure before being given a circular keep at the start of the 13th century and stone walls during the reign of King Casimir III the Great in the 14th century. The keep is 20 metres high with sturdy walls four metres thick at its lowest level, while near the top is a classic Romanesque bifora window, split with a column. In the Renaissance body of the castle are exhibitions for the Museum of Lublin, charting the history of the city within the Kingdom of Poland and the Polish-Lithuanian Commonwealth. In the castle’s courtyard is a chapel that would have been raised at the same time as the keep, and was then remodelled at the beginning of the 15th century at the behest of King Władysław Jagiełło. 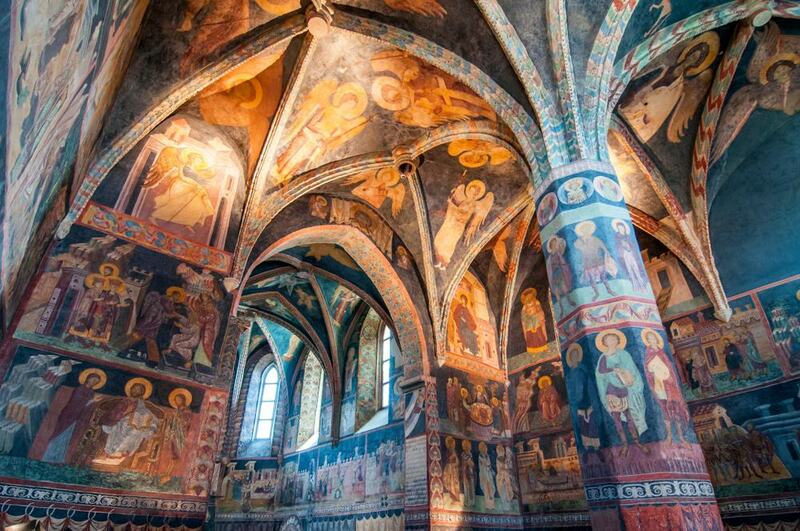 This was when its interior was painted with Byzantine-style frescoes, completed in 1418 and proof of the cooperation between the Eastern Orthodox church and western Roman Catholicism. These paintings are in exceptional condition and evoke passages from the bible, but also have the only contemporary portraits of King Władysław Jagiełło. No sooner was it liberated by the Soviet army in 1944, this death camp in the southeast of Lublin became a museum, and by 1965 was elevated to become Poland’s first State Museum. Equally heartrending and interesting, the Majdanek is one of the Nazi regime’s most complete camps as the retreating German army had no time to demolish the facility. 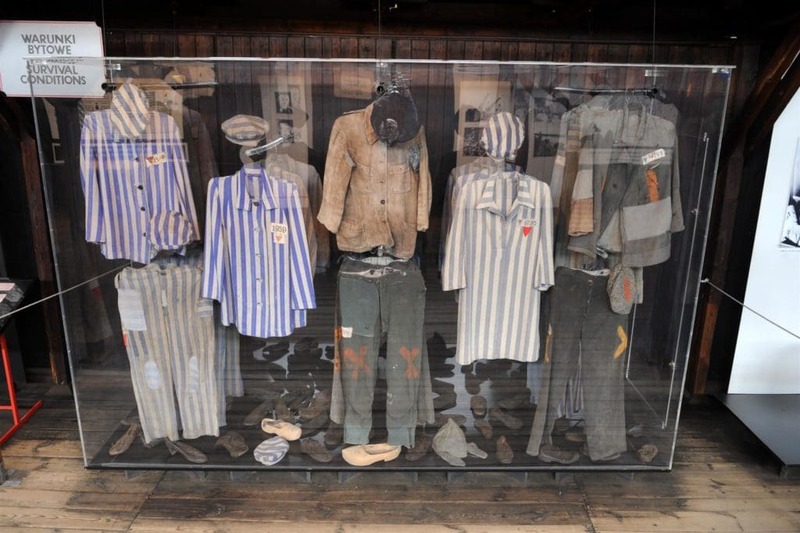 In just under three years, almost 80,000 people were murdered in the main camp, and up to 130,000 people in the network of sub-camps attached to it. The museum has moving artefacts sourced from other camps, together with archive photography and eyewitness accounts of what happened here. The mausoleum piled with ashes, and the gas chamber with a wall stained blue from Zyklon B gas are both as disturbing as you’d expect. 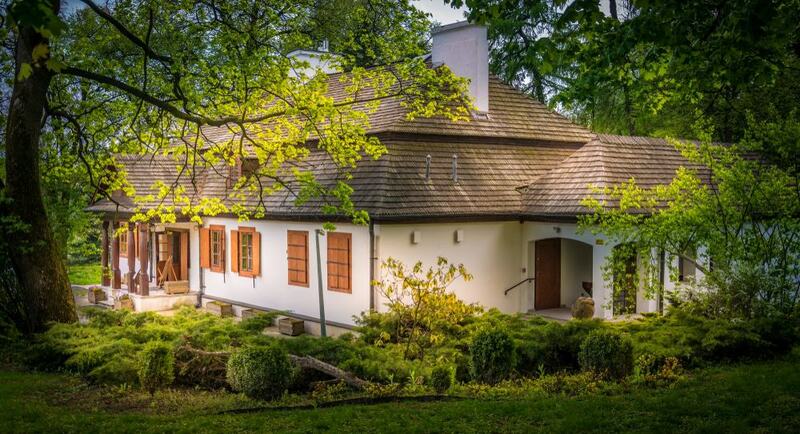 Based on the Swedish “Skansen” model this open air museum in the Sławinek District 15 minutes from the city centre is a living snapshot of historic rural life in the Lublin Province. The museum covers almost 30 hectares and gives you the sense of being in the countryside as you navigate lanes and paths between reconstructed thatched cottages, windmills and workshops from the 18th and 19th centuries. Inside there are displays of vintage tools, furniture, personal possessions, while farmyard animals like goats, chickens and horses are kept in enclosures. The museum even has a small town centre, with amenities like a dentist, bar, post office and barber, as well as a little lake for picturesque photographs. Formerly part of a city gate beside Lublin’s Jesuit College, this tower was extended to 60 metres by the Poland-based Italian architect Antonio Corazzi in 1819. At the very top is a tin finial of a cockerel, which is claimed to be able warn the city of approaching dangers. If you’re feeling fresh you can conquer to the 207 steps up a tight, winding staircase for the ultimate view of Lublin’s cityscape. There are paintings and sculptures along the staircase to distract you as you climb. 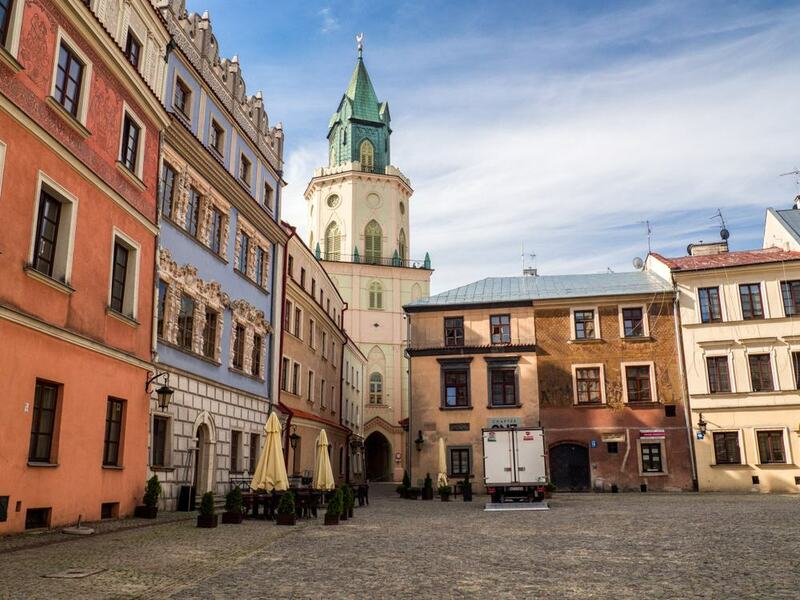 Between the castle in the north and the Rynek (Market Square) in the south, Lublin’s Old Town is in a small but endearing package. Along the central Grodzka street there are houses in various states of repair, but even the ones with the patina of age have a certain charm. In summer there are ice cream shops, and terraces for bars and restaurants, as well as a street musicians and entertainers every few metres. The most handsome burgher houses await on the Rynek (Market Square): No. 8, for the Lubomelski family, has a vivid red facade with a balustrade on its roof, while no. 12 for the Konopnica family has ornamental merlons above and beautifully ornamented window frames. Lublin’s cathedral was constructed by the Jesuits at the turn of the 17th century and was one of Poland’s first Baroque buildings. The design mimics the Chiesa del Gesù in Rome and was conceived by the Italian Jesuit monk and architect Giovanni Maria Bernardoni. 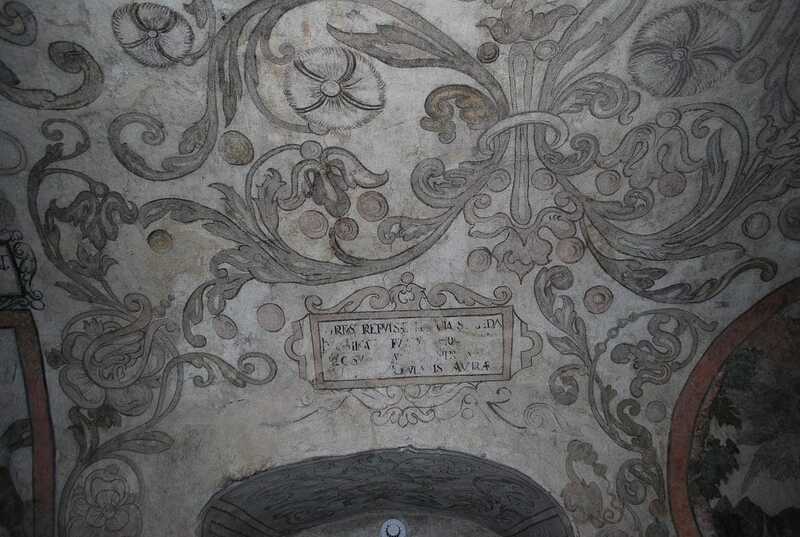 After the fire of 1719, Józef Meyer, the court painter of Augustus III of Poland coated the interior walls with frescoes of scenes from the bible. The Jesuit order was dissolved in Poland in 1773, and when Lublin’s diocese was set up in 1805 this building became its seat. The crypt is open to the public and has the tombs of the bishops of Lublin, exhibiting vestments and various burial items. Above, in the chancel the 17th-century altar is fashioned from black stone, and has golden columns, while there are Baroque paintings nearby of the Feast of Herod and the Last Supper. The solemn Neoclassical building in the centre of the Rynek is Lublin’s old Crown Tribunal, which functioned from 1578 to 1794. King Stephen Báthory founded the Crown Tribunal as the highest appeals court in the Polish Kingdom, a place where the nobility would come from across Lesser Poland to thrash out legal disputes. Domenico Merlini, the Italian court architect of King Stanisław August Poniatowski redesigned the building in the 1780s, and not long after the Crown Tribunal lots its powers during the Partition of Poland in 1794. For tourists the Crown Tribunal’s dungeons are the first step on the Lublin Underground Trail, which we’ll talk about later. You’ll pass under this pale yellow gate on the way from the Rynek to Lublin Castle. The gate also once marked the entrance to the Jewish quarter of Lublin, and over the last couple of decades has been converted into a cultural centre for Lublin’s Polish-Jewish heritage. At its heart is the “Memory of the Place” exhibition, kindling recollections of Lublin’s Jewish quarter, which was completely razed in the Holocaust. Calling on in-depth research and a stash of more than 2,700 colour photographs discovered in an attic in 2012, the museum puts a human face on Lublin’s holocaust victims and brings the interwar city back to life using Kaiserpanorama (Stereoscope) displays. There’s also a room for Lublin’s list of Righteous Among the Nations, non-Jewish citizens recognised by the State of Israel for hiding or rescuing Jews. In the southwest corner of the Old Town is the upper of Lublin’s two city gates, raised by King Casimir the Great in the aftermath of an attack by Tatars in 1341. The gate was the point of arrival for visitors from Kraków, some 300 kilometres to the southwest, and was used to sound the “Hejnal” trumpet call and as a watchtower to spot fires. 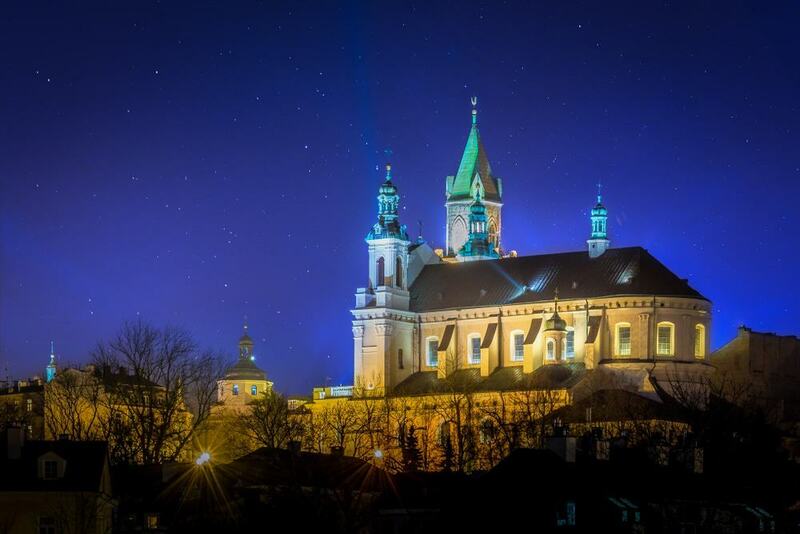 The tower and portal were given a Baroque redesign in the 17th century, and the landmarks is now at the threshold between the Old Town and Lublin’s new downtown. Stop by at noon to hear the trumpet call from the balcony, and pop inside for another branch of the Lublin Provincial Museum. 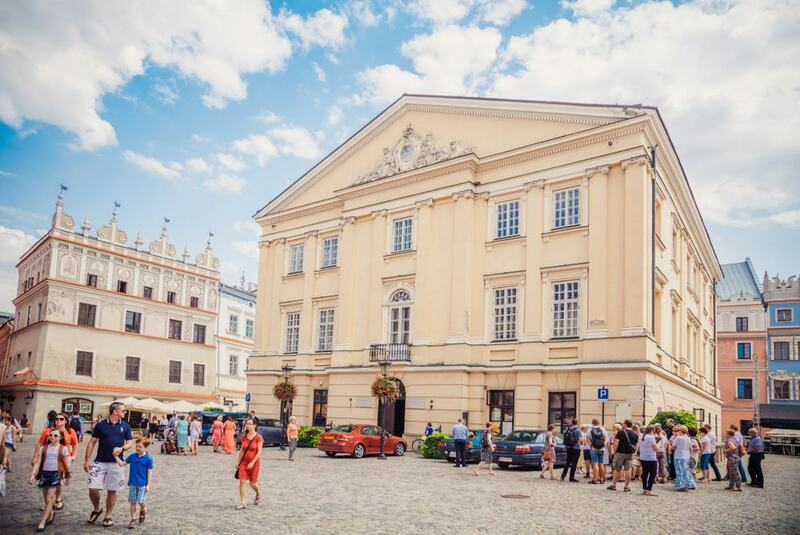 Conveniently located between the Rynek and the Grodzka Gate, Po Farze Square is a go-to meeting point for Lulin’s residents. The name of the square comes from the parish church that stood here from the Middle Ages but was torn down in the mid-19th century as it was dilapidated. 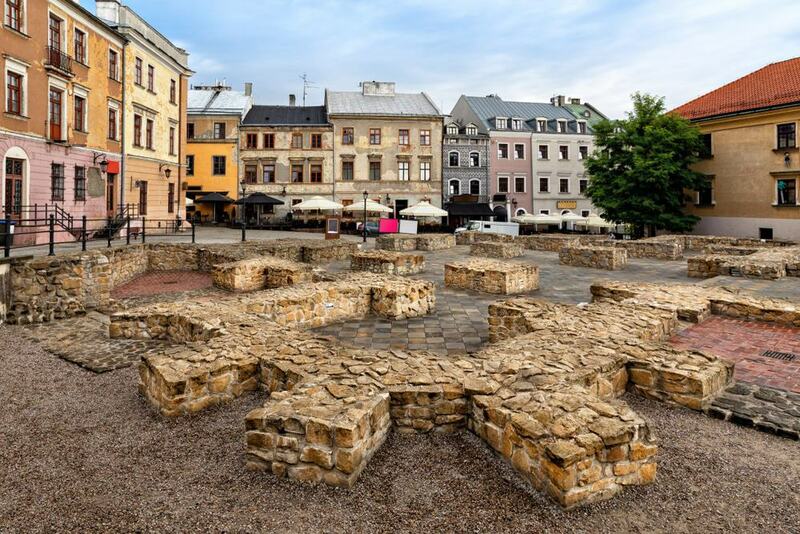 The foundations of the building were excavated in the 1930s, and since the beginning of the 2000s these mysterious Medieval stones have become the square’s furniture. So Po Farze Square is a pretty atmospheric place to meet up, and watch street perfomers and outdoor concerts in summer. 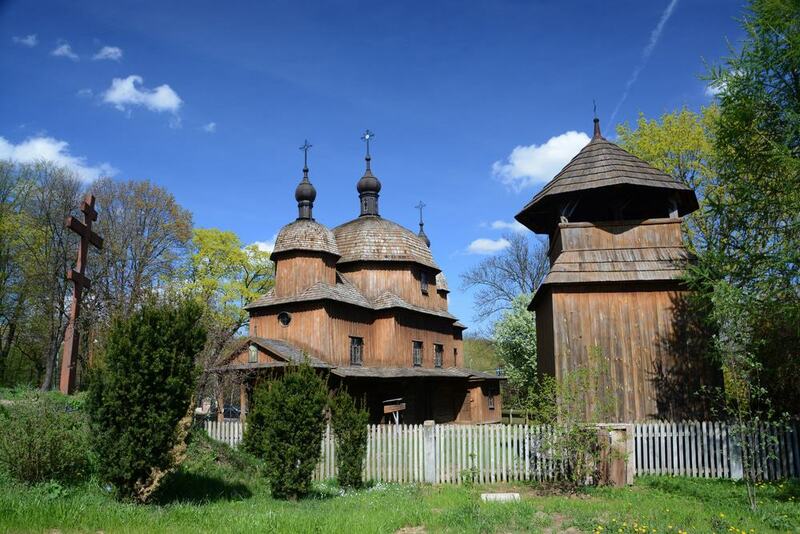 On the north slope of the Czechówka River this botanical garden was first laid out in 1956 and encompasses 25 hectares. Growing in an arboretum, rock garden, rose garden, marshland, greenhouses and formal apothecary gardens are more than 6,500 plant species. Even if you’re not botanically-minded the landscape is very picturesque, with ravines, lots of water features and walking paths that weave into dense woodland. There’s also a little cafe to complete your visit in style. At Rynek, the Lubomelski house at No. 8 conceals something intriguing in its basement: In 2012 a museum with multimedia displays about the history of Lublin was installed down here. These offer insights on topics like the life of Lublin’s burghers in the 16th and 17th centuries, Lublin’s religious melting pot of Protestants, Catholics, Orthodox Christians and Jews, and Lublin during industrialisation in the 19th century. The best is saved for last as the tenth room is the house’s old wine cellar adorned with genuine Renaissance frescoes, with intricate tendril and flower patterns and references to ancient mythology. At Ulica Żmigród 1 is a printing house founded in 1932 and now kept as a museum. Before the war the left-wing “Popularna” press printed the works of avant-garde poets and political thinkers like Józef Czechowicz and Józef Łobodowski. And then during the occupation illegal pamphlets were printed at the works, resulting in the execution of 14 Popularna printers. In the exhibition are antique bookbinding, typesetting and printing machines from various eras, and the museum puts on education workshops in which kids can print their own pamphlets using mid-20th-century technology. 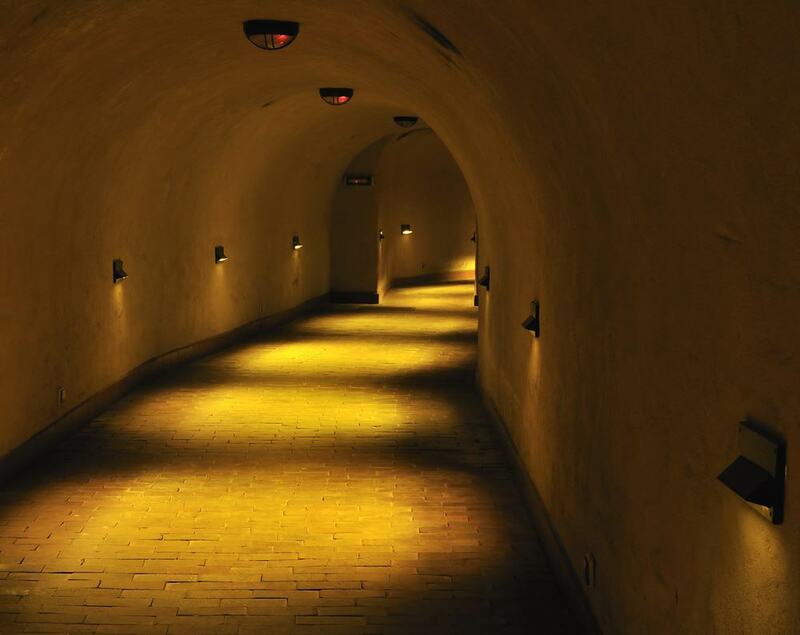 After entering the dungeons at the Crown Tribunal you can set off on a Goonies-style adventure through the interlinked cellars of Lublin’s 16th and 17th-century townhouses. The trail, set up in 2006, is almost 300 metres long and beckons you into 14 exhibition rooms. These have scale models showing Lublin’s changing cityscape from the 700s to the end of the 17th century. Where merchants used to store their wares you can find out about the events that have moulded the city: These might be invasions, epidemics, the signing of the Union of Lublin forming the Polish-Lithuanian Commonwealth super-state, or the fire of 1719.